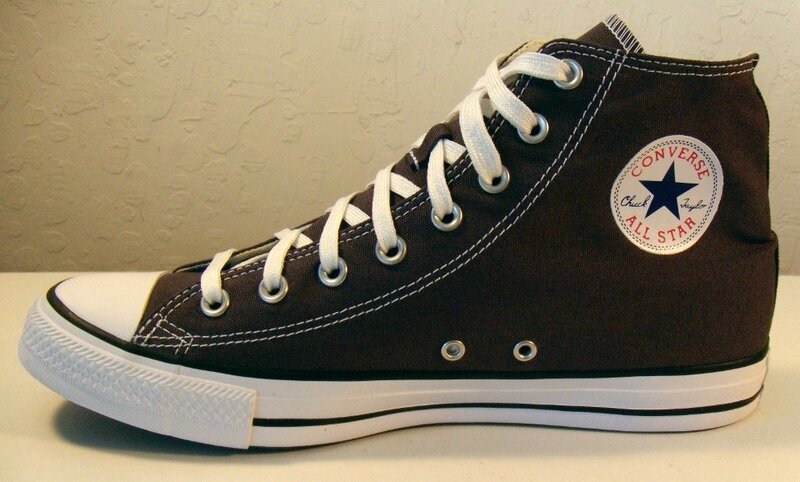 Photo gallery of dusk high top chucks, a 2016 seasonal color. 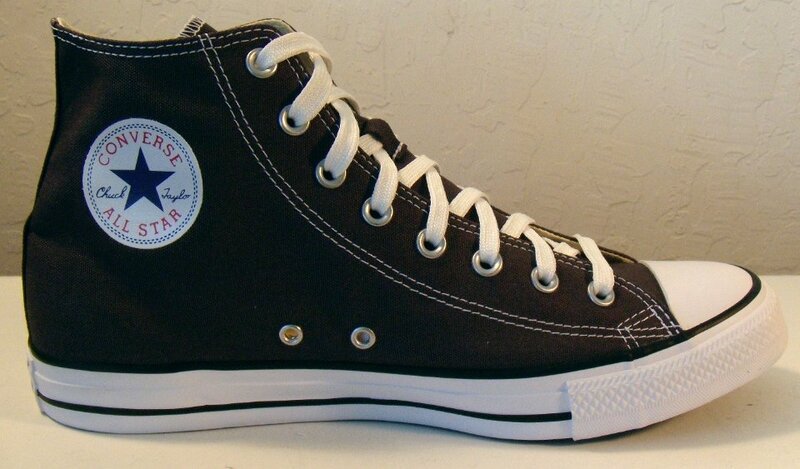 1 Dusk High Top Chucks Inside patch view of a right dusk high top. 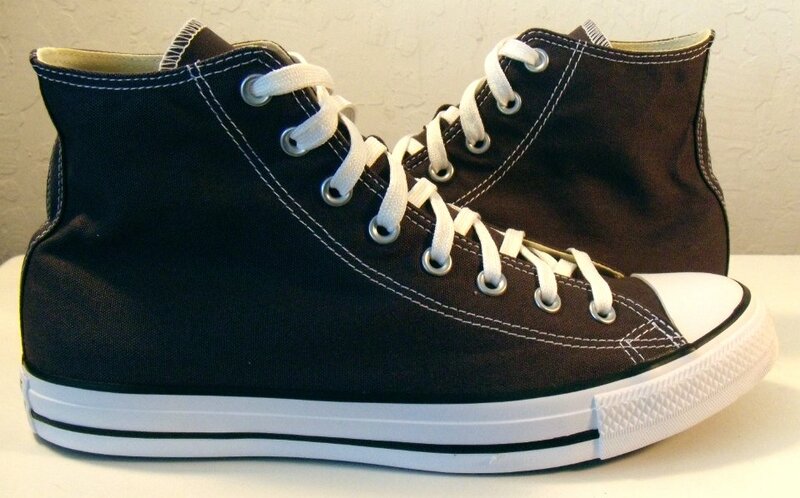 2 Dusk High Top Chucks Outside view of a right dusk high top. 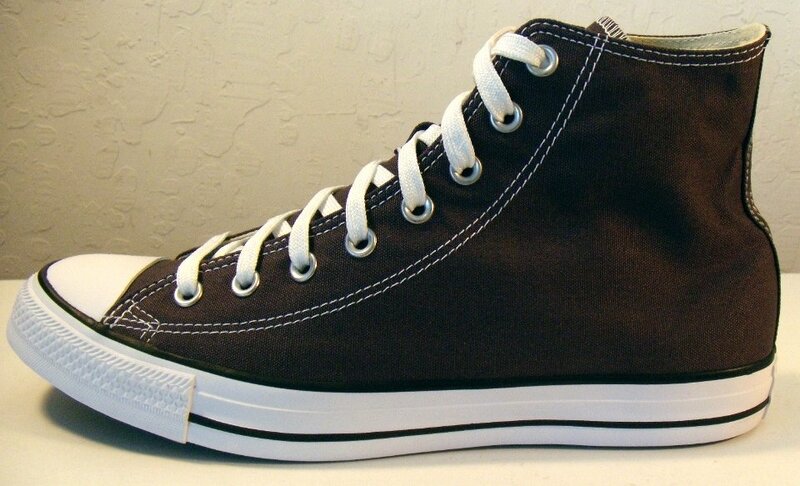 3 Dusk High Top Chucks Inside patch view of a left dusk high top. 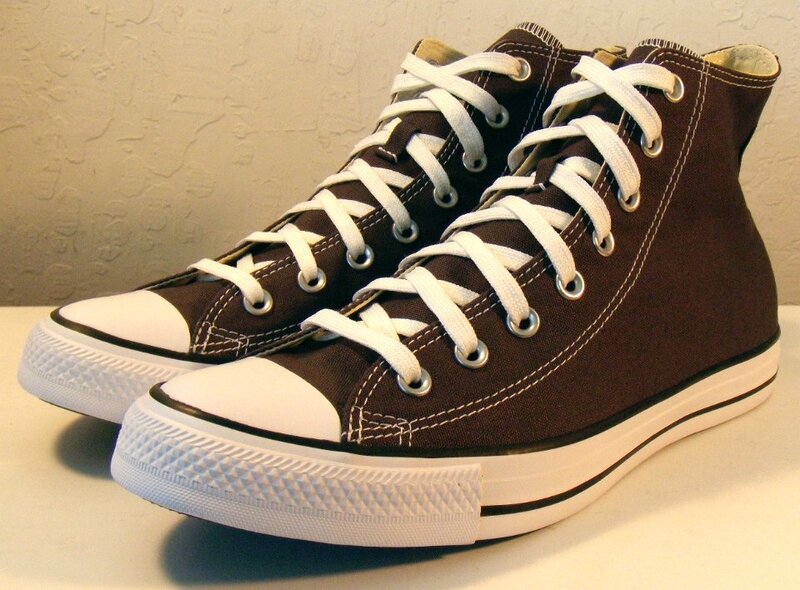 4 Dusk High Top Chucks Outside view of a left dusk high top. 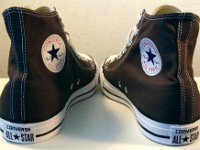 5 Dusk High Top Chucks Rear view of dusk high tops. 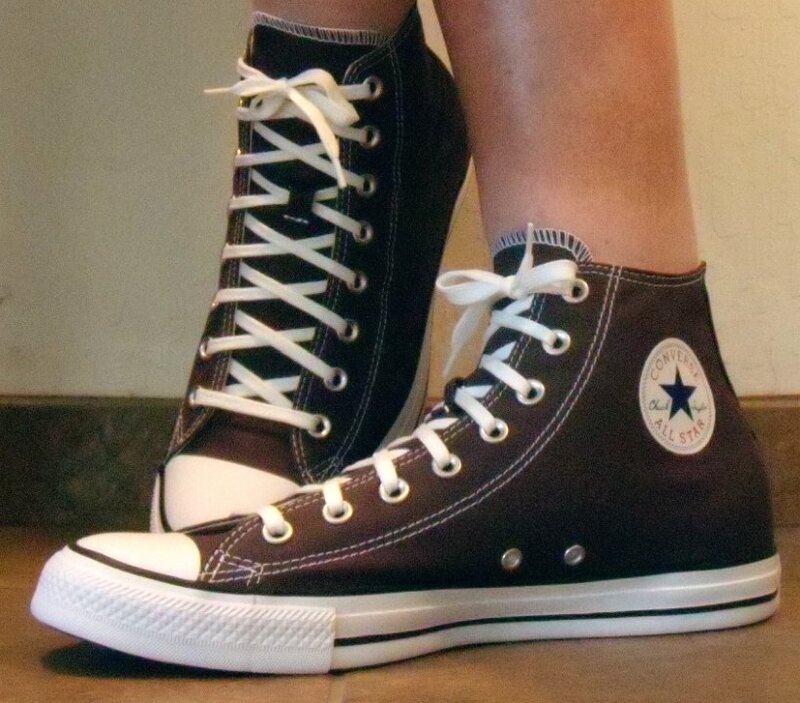 6 Dusk High Top Chucks Angled rear view of dusk high tops. 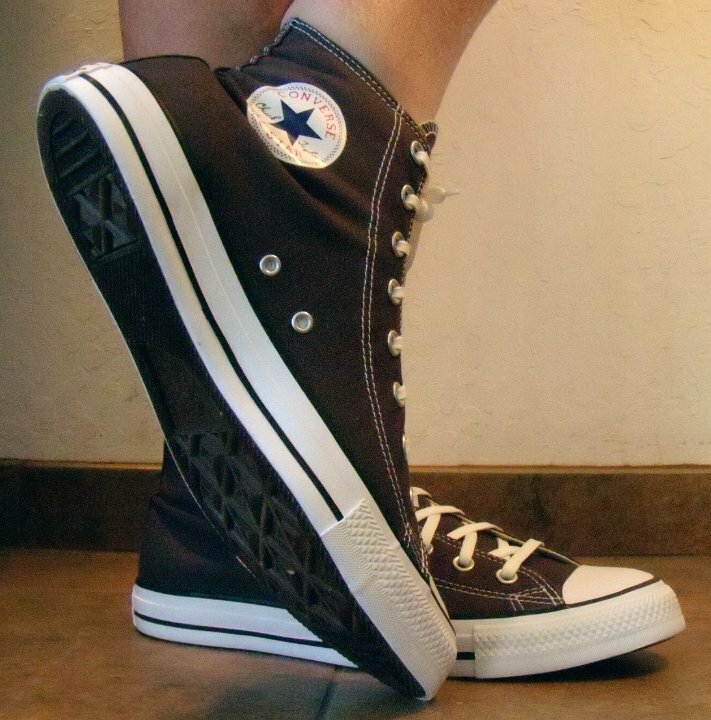 7 Dusk High Top Chucks Angled side view of dusk high tops. 8 Dusk High Top Chucks Front view of dusk high tops. 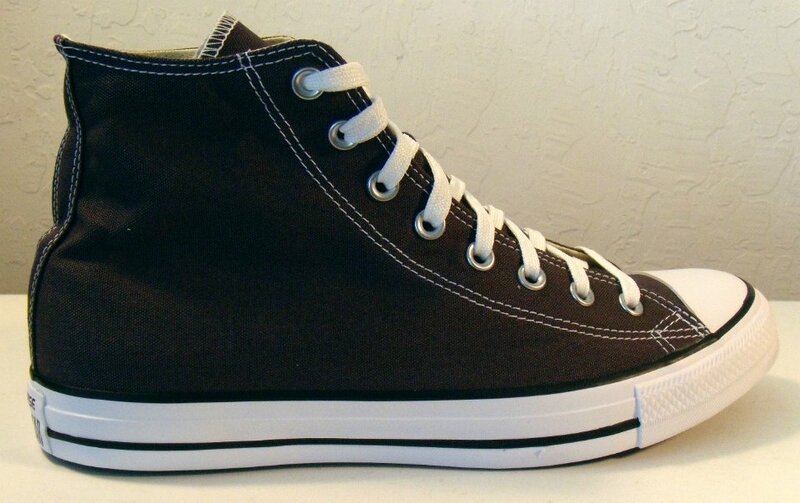 9 Dusk High Top Chucks Angled front view of dusk high tops. 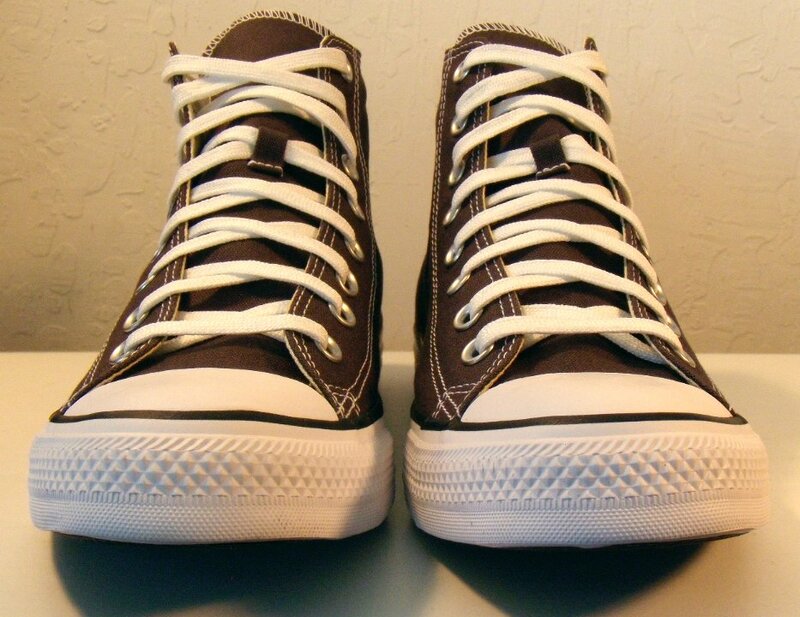 10 Dusk High Top Chucks Top view of dusk high tops. 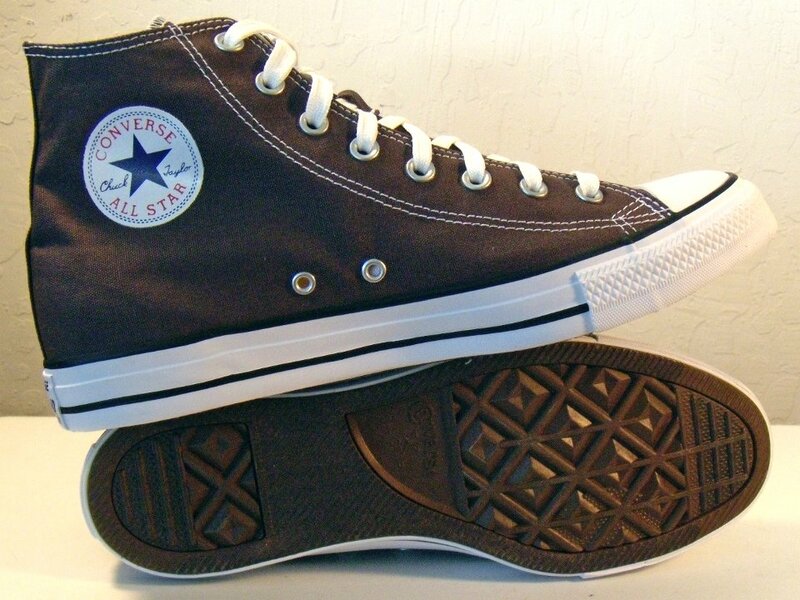 11 Dusk High Top Chucks Inside patch views of dusk high tops. 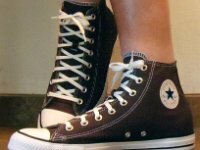 12 Dusk High Top Chucks Outside views of dusk high tops. 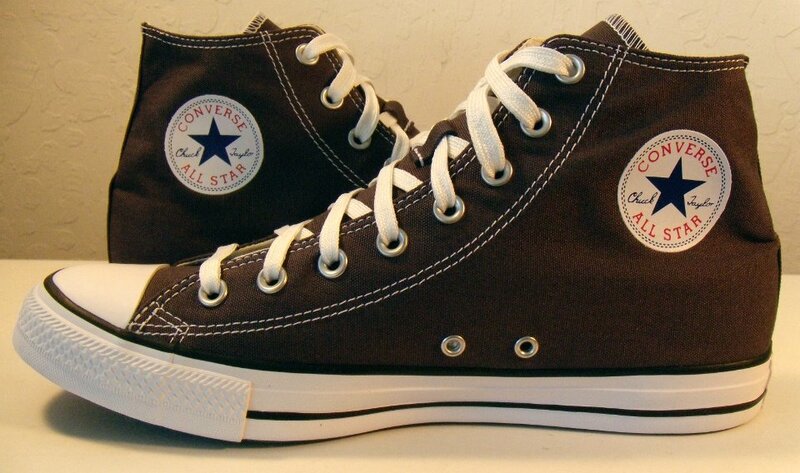 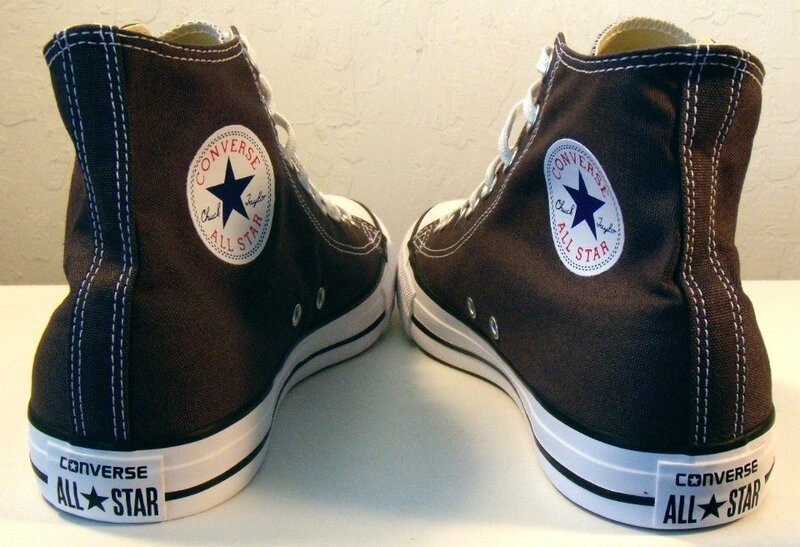 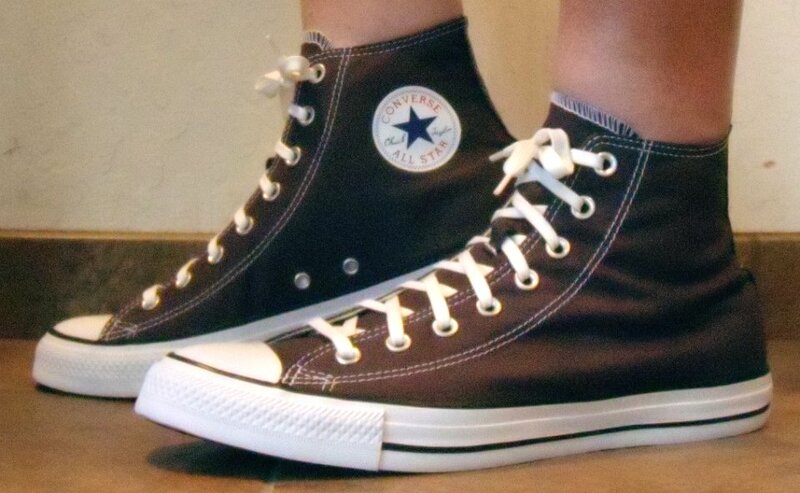 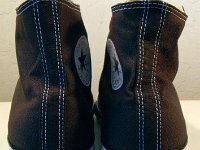 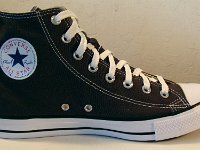 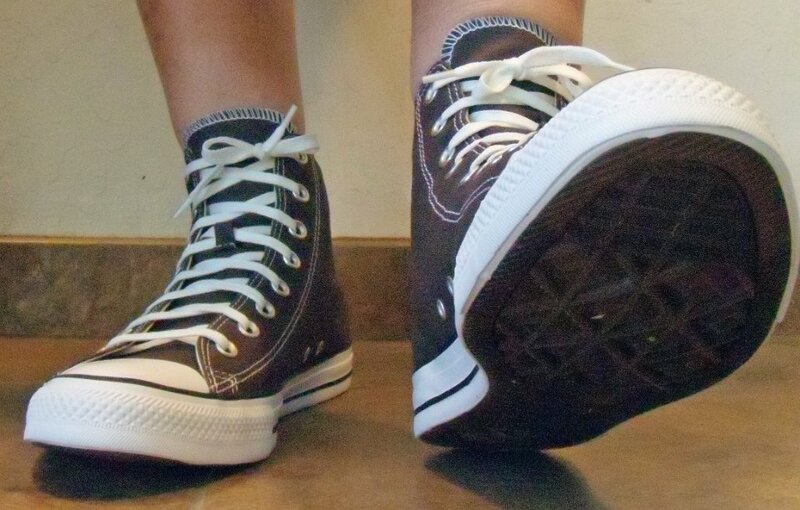 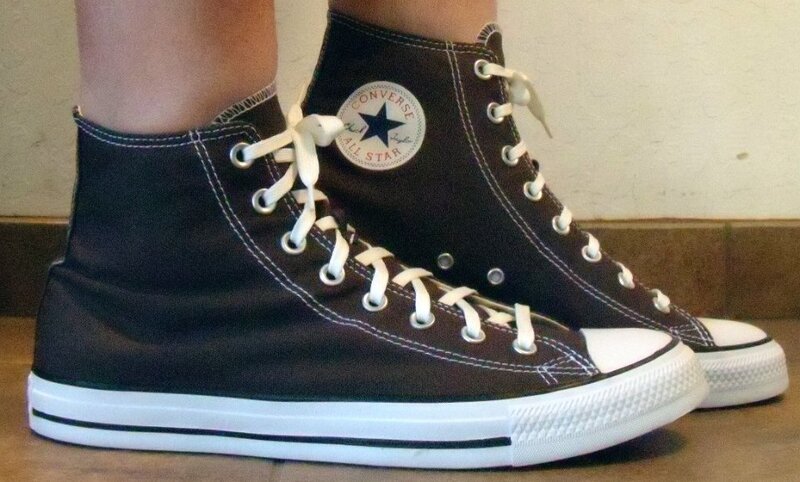 13 Dusk High Top Chucks Inside patch and sole views of dusk high tops. 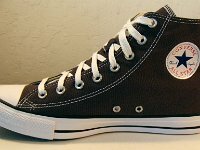 14 Dusk High Top Chucks Wearing dusk high tops, front view 1. 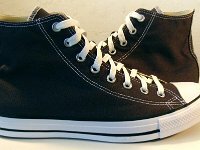 15 Dusk High Top Chucks Wearing dusk high tops, front view 2. 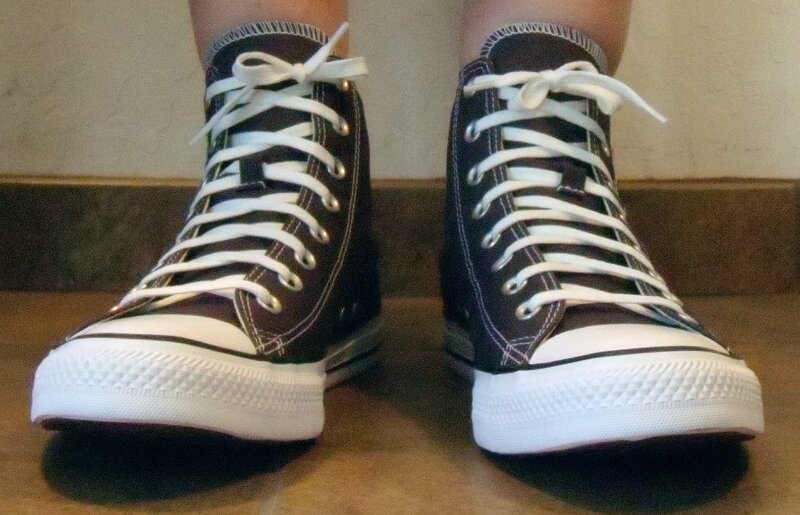 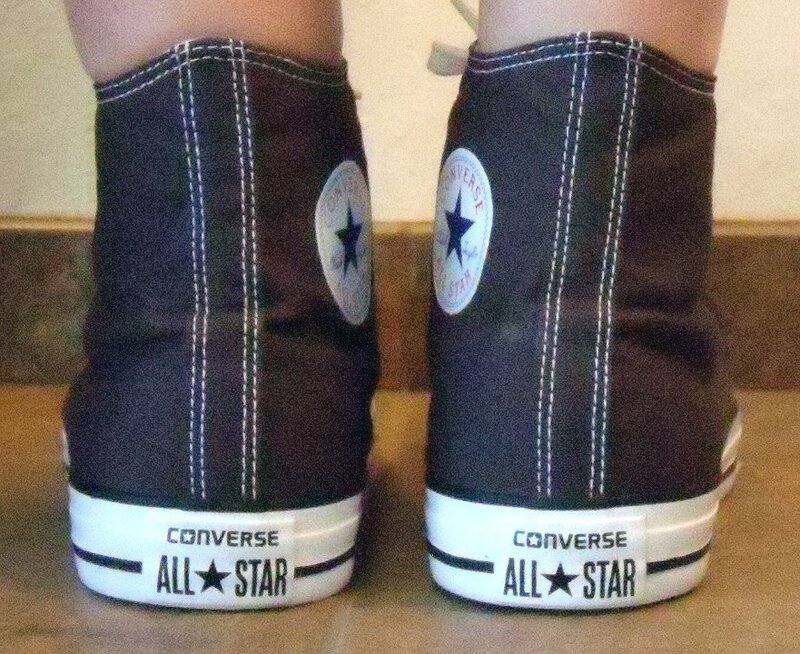 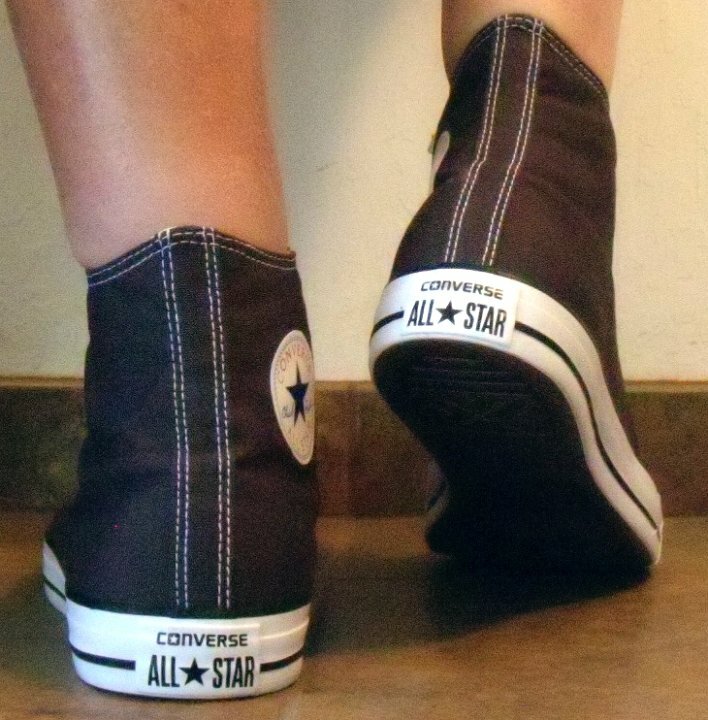 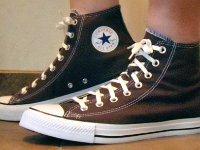 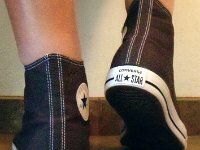 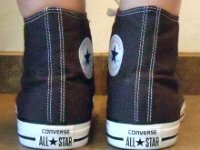 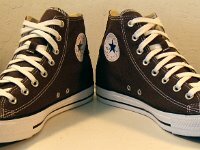 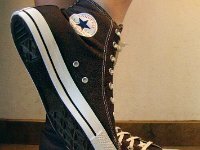 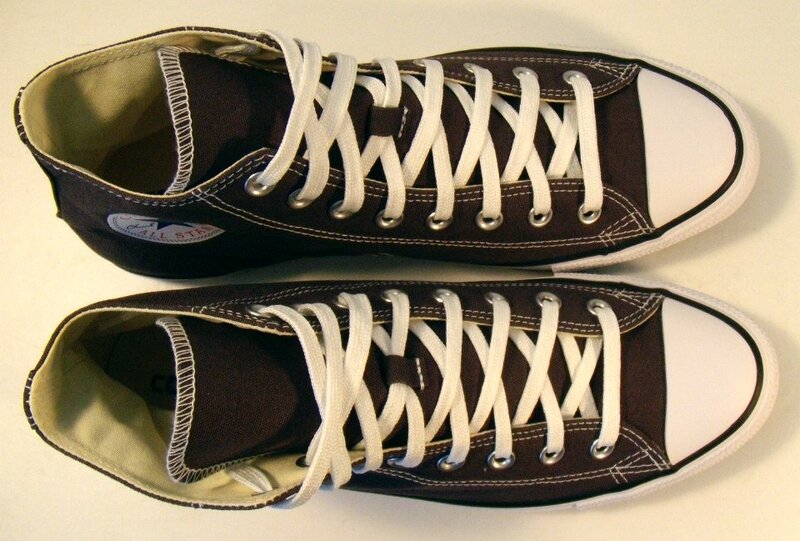 16 Dusk High Top Chucks Wearing dusk high tops, left side view 1. 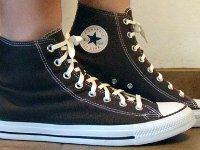 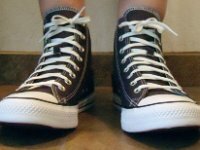 17 Dusk High Top Chucks Wearing dusk high tops, left side view 2. 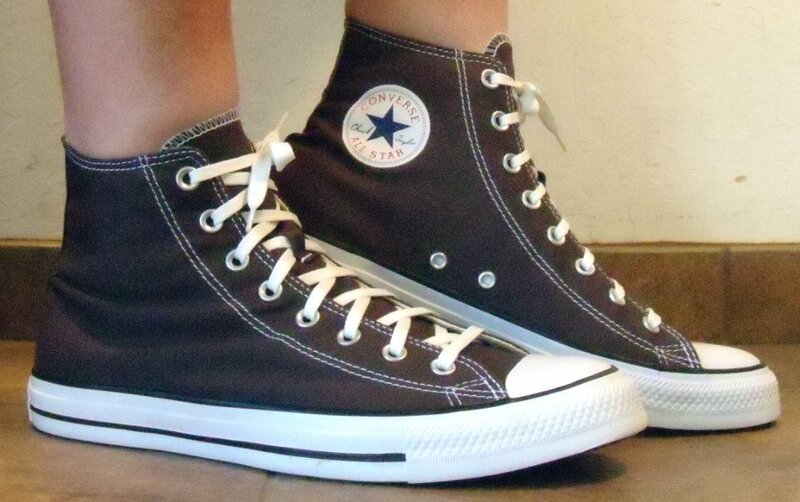 18 Dusk High Top Chucks Wearing dusk high tops, rear view 1. 19 Dusk High Top Chucks Wearing dusk high tops, rear view 2. 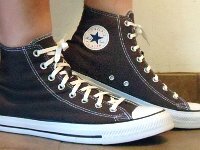 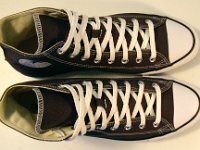 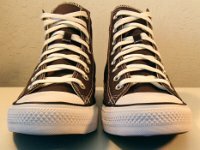 20 Dusk High Top Chucks Wearing dusk high tops, right side view 1. 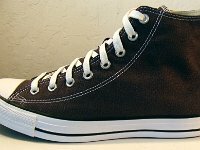 21 Dusk High Top Chucks Wearing dusk high tops, right side view 2. 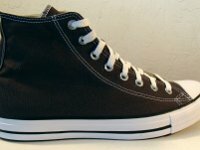 22 Dusk High Top Chucks Wearing dusk high tops, right side view 3. 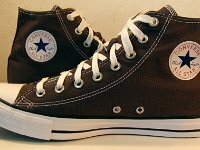 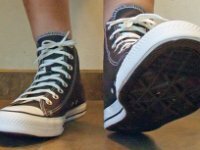 Dusk high top chucks are a seasonal fresh colors issue from 2016. 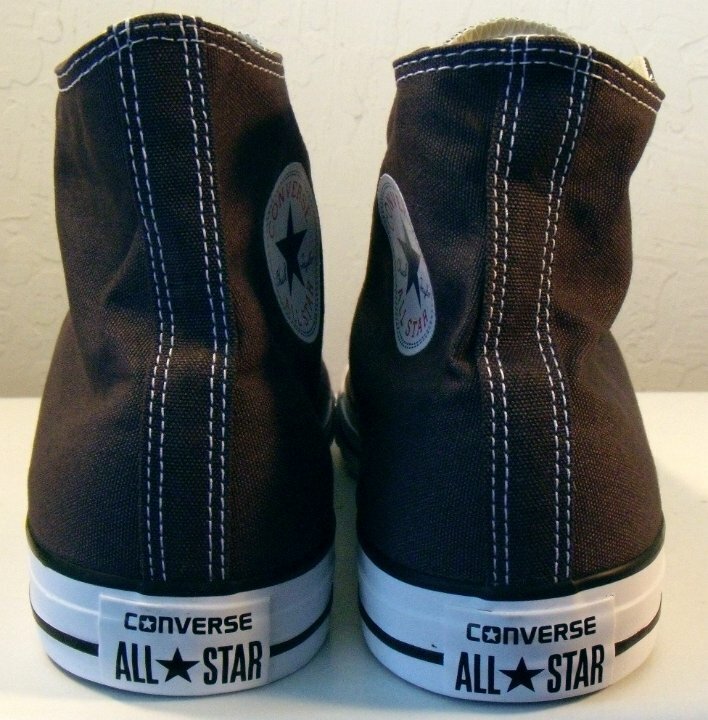 The color is somewhere between black, dark brown, and charcoal grey.